Following relevant pages will help you with your social presence, because they let you know what is happening with your customer base, and regularly give you access to powerful content. The more followers you have, the more impactful your social media presence will be. That being said, you want your followers to be relevant to your small business’ needs. To that end, use relevant hash tags on all of your posts, and use your other marketing channels to funnel consumers to your social networking pages. 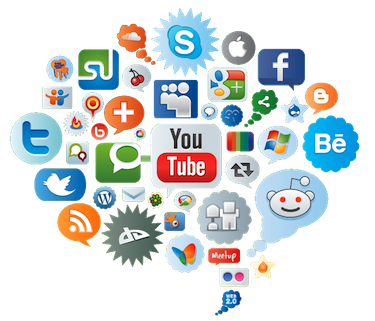 Social media provides people with a deluge of content that they scroll through quickly. Although prose content is great, you should also use pictures and videos often, as these receive 18% more clicks, 89% more favorites and 150% more retweets on Twitter alone. No matter how well your small business treats its customers, some people will inevitably complain about something. In some cases, they will complain publicly on social media. While this is beyond your control, what you do about it is not. Instead of ignoring complaints online, use them as relationship and brand building tools by publicly solving the problem on the social network that the complaint was initially made on. While not as flashy as other social networks, LinkedIn has the unique ability to connect you with new employees and potential business partners — in addition to consumers. Be sure to create a business page on this social network. A key element for social media engagement is entertaining your followers. To this end, you must regularly create posts that don’t mention your products or your business at all. Instead, discuss current events or something within your industry. If you are creating social media pages for your small business, then you should already have a blog. Your best blog posts should be shared on your social media pages; this will help drive more traffic to your website. Although they are all great, some social networks will be better for your small business than others. You should join Facebook and Twitter no matter what, but beyond this, carefully consider what networks are more valuable for your company, because each one requires a time investment. Although it is okay to build product excitement on social networks, your social media pages aren’t the places to post overt ads. Instead, you should be building relationships with consumers. You want your target audience to love you on social media. For your small business, few others matter. Use this fact to focus the type of content that you create to better build relationships with people who will likely buy your products. Social media can help your small business attract customers in unprecedented ways. Following the 10 tips listed above will help you a great deal in this regard.